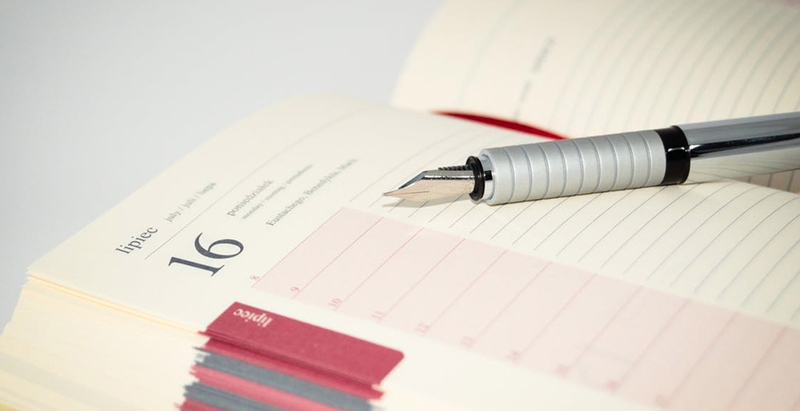 It can be a really big task to plan your 2019 year in marketing, but making time to do so will allow you to look ahead and plan out any campaigns well in advance, so get these dates in your marketing calendar today. Here are a few notable dates to make life a little easier for you – we’ve even created a contents table allowing you to simply jump between months to make browsing easier. Feel free to book mark this post, or create and keep a content marketing calendar that you can plug dates into, as it will help you plan and schedule your material. We’ve provided you with the dates, it’s up to you to think which events/days could be relevant to your business. For excellence in the film and television industry, these awards are sure to be a glitzy affair. Maybe you could do your own Golden Globes awards for business excellence? Make a whole social media campaign surrounding it – it’s a good way to promote yourself as an industry leader if you’re handing out the awards too! Whilst Andy Murray isn’t taking part in this event due to a hip injury, it doesn’t mean that you can’t. A tennis match wouldn’t be a tennis match without the toing and froing of the ball, tactics and ideas thought up by the individual tennis player and their coaching team. Why not set up a debate during this week to replicate this back and forth of ideas and generating some useful blog content for your target audience? Explore the wonders that London Art Fair has to offer with its exhibitions of contemporary art. This event has been taking place annually for the passed 30 years and offers a unique experience for visitors and collectors. This is certainly an exhibition not to missed and who knows, you could discover a new style which could work in your branding or marketing strategy? Celebrating independent movies, The Sundance Film Festival showcases works which primarily tell a hard-hitting story without the backing of any large corporation. It shows that you don’t need a large budget in order to make an impact with your work. Robert Redford, the President and Founder of the Festival stated; “storytellers can challenge and…provoke thought, drive empathy and allow the audience to connect, in deeply personal ways.” There’s no reason why your blog posts can’t do the same. Robert Burns was one of the great Scottish bards and as such, for hundreds of years, people (primarily the Scots) have held banquets in his honour. But if the thought of an encased animal’s stomach doesn’t appeal, there’s always a ceilidh to enjoy. So grab a partner and dosey do.. This day marks the anniversary of the beginning of the colony. In 1788, the 1st Fleet of British ships arrived at Port Jackson and raised the Union Jack. So don a corked hat, call your mate a wallaby and have a Fosters to celebrate the occasion. This free pack includes tips on blogging to generate traffic, tracking your website’s effectiveness, the importance of mobile usability and a customer avatar worksheet. By downloading you’ll receive periodic emails from us with helpful tips. Ever thought about how to motivate your team? Well corporate tickets to the 6 Nations might just have that desired effect. Just an idea, you could use tickets to such an event as an incentive for your team to sell more or perform better. The NFL annual championship game, between the winners of the AFC and NFC leagues. It’s another US import that has a growing following by Brits who are getting interested in it and some 180,000 Americans who live in the UK. The Grammy Awards are the highlight of many popular musicians’ calendars. Presented by the Recording Academy, these awards acknowledge those who have been outstanding in their category. Maybe you could adopt the hashtag on social media with a well-designed offer to gain some free publicity? With its roots appearing to be both ancient Roman (with the festival of Lupercalia, a fertility celebration) and Christian (the feast to celebrate St Valentine’s Day). Britain’s are still very much in love with Valentine’s day, Mintel research predicted a spend of approx £470 million on this romantic day – so it’s definitely a significant selling opportunity not to be missed. This major festival celebrates the Lunar New Year in an array of ways. You’ll usually see lanterns, beautifully decorated couplets and the lighting of firecrackers. Can you build a marketing campaign to celebrate the Year of the Dog? All things British fashion-related are on the red carpet this week. What about offering some ‘stylish’, ‘red carpet’ promotions of your own, to make you stand out this week? An Oscar is a highly coveted award and celebrities travel worldwide to attend this event. But who do you think will win? Who will be the best and worst dressed? And who will fall up those stairs this year?! Or will it be Jennifer Lawrence for the second time…? Why not produce some related blog content? Try and link the title to this popular awards ceremony to increase your Google ranking. Remember to produce posts over 600 words long, that way it will further increase your Google ranking. Dydd Gwyl Dewi! A day of parades which include all things Welsh, such as gigantic leeks and daffodils, to celebrate the canonisation of Saint David. These festivities have amassed attention and can be a great opportunity for businesses. Ah, the day that we just HAVE TO eat the entire contents of one’s fridge. Challenge accepted. International Women’s Day celebrates social, economic, cultural and political achievements of women across the world. #BeBoldForChange. Perhaps a great day to celebrate the achievements of women in your business? Last year, Red Nose Day raised a whopping £82,154,943. Can you change your logo to incorporate a red nose? Or donate a percentage of your sales that day? Raise awareness and your profile with this great cause. This Irish celebration of one of Ireland’s Patron Saints has attracted growing global attention and can be a boom for businesses. Millions of people get involved, spending on all things green, having office and private party events and outings to restaurants and bars. Think about how you could do something to engage with your visitors on this festival. To celebrate all Mums. A day for them to put up their feet and be waited on hand and foot. Presents in the form of cards and flowers are traditionally given – along with many cups of tea so there’s an opportunity to celebrate the achievements of Mums in your business? In order to make better use of natural light, at 1am the clocks move forward 1 hour from standard time. Although you are technically losing an hours sleep, you will notice that your drive to and from work won’t be in a blanket of darkness. You need to make sure your business is compliant with any new legislations. One of the biggest sporting and social events of the year, with acts such as Sia performing there in 2016. The $30 million event is not one to be missed – have a think about how you can utilise this publicity for selling opportunities. April Fool’s Day appears to stem back to a celebration of the turning of the seasons around springtime. It’s a day for general silliness and the celebration of the practical joke. Although it’s not a well-known ‘selling’ opportunity, there are opportunities to engage with your customers and create brand awareness with perhaps a few ‘well-considered’ jokes. A funny email marketing campaign perhaps? This traditional rowing race taking place between Mortlake and Putney on the River Thames. Perhaps you could piggy-back the hashtag for this boat race on social media with a well-crafted offer to gain some serious eyeballs on your brand? These awards can offer some great exposure for you and your business. Have a look at how you can improve your marketing and gain some great publicity by entering. Some find it lucky, some unlucky – so, either buy your lottery tickets or stay home and wrap yourself in bubble wrap this Friday. Have you applied and are eagerly awaiting the announcement? No, maybe think about applying for one of the 2019 awards? The four categories include: Innovation, Sustainable Development, International Trade and Promoting Opportunity. Utilise this opportunity to get known for excellence or reach out to companies such as JCB who have won previously to help your organisation improve. Easter, the first big holiday after Christmas has customers spending thousands on Easter-related merchandise. There are also opportunities for non-Easter related selling too, by using the occasion as a springboard for new lines and special ‘spring’ offers. First celebrated in 1970, and now coordinated globally by the Earth Day Network, it’s celebrated in some 193 countries, with events to demonstrate support for environmental protection. A great opportunity for environmentally-friendly businesses to raise their awareness. Together with Guinness World Records and Virgin, this event gains a huge coverage. Why not jump on the running bandwagon and liveblog the runners’ way around the course whilst offering new lines or deals. St George’s Day, remembering England’s Patron Saint. A great celebration of English traditions and for selling all things English (…and for swords and dragons of course!). Known for works such as Romeo and Juliet, Hamlet and Julius Caesar, this date celebrates the English poet and playwright. Why not mimic the Bard of Avon and create some campaign sonnets to appeal to the classicists amongst us. An ancient festival to celebrate the coming of Spring. This event usually incorporates street marches as well as the singing of madrigals and folk dancing. Start your month off with a bang and use this festival to engage your site visitors. Perhaps a “Mayday” pun to draw attention to a special offer you’re running? On the back of the UK’s Local Elections, why not ask your site visitors for their opinion with a poll? Collect some data and produce an article on the results. People love to be involved and have a say in what your business is doing, or where you could improve, just like they do with the government. The first Monday in May is a UK Bank Holiday. Originally, it was probably a Roman festival celebrating the beginning of Summer and still remains a celebration of the end of Winter. It’s a great time to launch summer products and promotions. It’s also a great time to dance around the Maypole or do some Morris dancing! VE Day marks the end of the Second World War. All those in the film industry flock to the South of France for this illustrious awards ceremony. Again, this festival sees high end fashion and a chance to create a marketing strategy around this well publicised event particularly if you’re in the fashion business. If you’re a footie fan then this is probably one not to be missed. Use this opportunity to engage with your footballing and non-footballing customers with offers and promotions. Held by the Royal Horticultural Society, this show welcomes Spring with an eclectic array of colours and of course flowers. It’s attended by 157,000 people each year and is one of Britain’s largest flower shows. With such a dedicated and captive audience, it would be a shame to miss this marketing opportunity. The spring holiday weekend coincides with the school summer half term – a couple of useful opportunities for engagement and selling. Standing up for human rights, amnesty international raises awareness for those in need. Why not do a sponsored run or swim to raise funds for a cause that is close to your organisation’s heart? Her Majesty the Queen has two birthdays each year – her actual birthday being April 21st, which she usually celebrates privately. Her official birthday is usually the second Saturday in June when (hopefully!) the weather is better for the festivities. Held in Russia this year, the 21st Fifa World Cup is set to be a grand affair. The 2014 Fifa World Cup had 3.2 billion viewers so that’s no small audience. Why not capitalise on them and have a football themed marketing campaign to engage with those fans? Father’s Day is worth only half of that spent on Mother’s Day, but millions of pounds will still be spent on this occasion nevertheless. Remember it’s not just for dads, it’s for fathers-to-be, fathers-in-law, stepfathers, grandfathers and father figures…..
Revered globally, this Race day is a special occasion. Complete with a Royal procession, a strict dress code and a park and fly helicopter experience, it’s no wonder that over 300,000 people visit these races over the 5 days. Why not make your business stand out in all it’s finery with an on trend blog post? What better way to experience the longest day of the year than heading to Stonehenge for the Summer Solstice. Maybe bring in the official beginning of Summer with your brands Summer Collection? With Kasabian, Liam Gallagher and Van Morrison to name just a few, festivals are a great way to engage with your audience. Maybe you can think of a way to get your product at the festival and enjoy the music, shops and more whilst you “work”. The annual race which sees cyclists testing themselves through a gruelling 21 stage route from Noirmoutier to Paris Champs-Elysées. Why not think of a way to create an engaging campaign around this event? The 1st of July is frequented by firework displays, face painting, and citizenship ceremonies, all to celebrate Canada becoming a self-governing country. Why wouldn’t you use it as a day to have pancake breakfasts and Canadian maple syrup? Do you have any out of this world deals which you can offer on World UFO Day? This world-famous Grand Slam tournament has been held, for 2 weeks every summer, for the last 125 years at the All England Club in Wimbledon. A glorious fortnight of strawberries and cream and more recently a British winner! Can Murray win it again this year? Let’s hope he sorts his hip injury out. Celebrated since 1776, this National American Holiday sees the tradition of BBQs and fireworks. Do you have any ideas how to include stars and stripes into your marketing campaign? Today might be the day to try it. Henley Royal Regatta was established in 1839. It’s a traditional event held each year on the River Thames ….. blazers and boaters all round! This event takes place at the Silverstone Circuit with roughly 300,000 fans and it’s come a long way since the first ever round of the F1 Championship in the 1950s. Again, with such a captive audience, why not make them a fan of your business or products as well as the F1? Another one! Some find it lucky, some unlucky – so, either buy your lottery tickets or stay home and wrap yourself in bubble wrap this Friday. Bastille Day celebrates the French Revolution when the Parisian prison; The Bastille was overthrown in 1789. Flags of red, white and blue are raised around France and large military parades which include aerobatic displays mean that both the land and sky are a spectacle. The BBC Proms is one of the most revered events in every classical musician’s calendar. The concert series is attended by huge numbers and broadcasted on the BBC so reaches a vast audience. Sensing a theme yet? Why not target that audience with some musical marketing? In 2011 the General Assembly of the United Nations declared 30 July as official International Friendship Day, with the idea that friendship between peoples, countries, and cultures can inspire peace efforts and build bridges between communities. With Glastonbury taking this year off and letting the grass grow back from the mud infested fields, Reading and Leeds Festival a great alternative for Festival addicts. Last year’s line up saw a mass of talent from the likes of Muse and Eminem – so, why not think of a way to engage with the audience there – with Reading having a capacity of 90,000 alone, it could be a big win! This late summer holiday long-weekend is the chance to make the most of the final weeks of summertime. It’s a great chance to create an offer tempting people to spend before they settle back into their usual routine. Held in Munich, Germany, this 15 day long festival means that you’ll almost have time to sample all of the beers before it ends. One of the most well known beer events globally, this festival attracts huge attention worldwide. There are family days, a traditional gun-salute, rides and more. Why not put together a campaign around this fun event? This is one of the holiest days in Judaism. It means Day of Atonement and definitely one for the calendar. This is a day in which the United Nations Organisation recognises their achievements and sets out their new aims for the year. Have you got a day to recognise achievements within your business? Everyone likes recognition and it might motivate members of staff..
Diwali is a five day festival of lights. Celebrated by Sikhs, Jains and Hindus across the world, it celebrates new beginnings. At 1am the clocks move backwards 1 hour from standard time. Huzzah, you gain an hours sleep! Just remember to reset your alarm so that you don’t accidentally wake up at the usual time! Mintel, the world’s leading market intelligence agency, reportedthat UK consumers spend £310million on Halloween, seeing it overtake the spend for Valentine’s Day. 40% of Britain’s spent money on Halloween. So, even if your business doesn’t have a direct link to this event it might be worth adding some kind of Halloween-themed offers to your shop at this time. If all else fails, encourage your staff to dress up and snap some pictures for social media. The Day of the Dead is an iconic Mexican holiday celebrated globally in order to remember those who are no longer with us. Remember, remember the 5th of November – although the spend on bonfire night is relatively small, when compared to that of the US import Halloween, it’s clear that the spend on ‘Autumn’ events is growing. This year’s Remembrance Day marks 100 years since the end of the first World War. There will be a huge homage to those who fell for our country and secured our freedom. Can you make your logo apt for the occasion? Maybe add a poppy to it? In November 2015, the Independent newspaper reported that Waitrose said one in six Britain’s now celebrate the American ‘Thanksgiving’ tradition – time for turkey, sweet potato and pumpkin pie and perhaps some special autumn/winter promotions? In November 2016 the Telegraph >reported that bargain hunters stayed away from the high street, preferring to shop for offers online, with sales over the entire weekend expected to top £5.76billion. Not to be missed for you ecommerce store owners. Scotland’s official national day, so don your best kilt, limber up for that ceilidh dance and be thankful that you did, as some finish the evening off with a deep fried mars bar. What chillier way to experience the shortest day of the year than heading to Stonehenge for the Winter Solstice. Maybe bring in the official beginning of Winter with your Comfort Collection? Christmas, the busiest spending period of the year, with the trend for online spending increasing year-on-year. If you run an ecommerce store, make sure you’ve got everything well in place beforehand. Big for sales, this date is not to be missed if you run an ecommerce store.